Elite Wellness & Performance is your home for total health and optimum performance. If you’re looking to put an end to adverse food reactions, alleviate symptoms associated with inflammatory disease & food sensitivities, or maximize your sport performance, you’re in the right place. Founded by dietitian and fitness expert Heather Neal, MS, RD, LDN, CLT, Elite Wellness & Performance fills the missing gap in health & wellness by providing exclusive online nutrition services. Get the support you need from anywhere. If you suffer from inflammatory illness like IBS, migraines, fibromyalgia, chronic fatigue, or eczema, see more here. If you have an infant or child with suspected food sensitivities or just can’t figure out what’s wrong, learn how we can help here. For athletes: Heather is passionate about helping you feel your best. A runner and triathlete, Heather knows what a difference the proper fuel makes for your sports performance and your every day life. If you’ve tried maximizing your performance before without results, can’t put on the muscle you desire, or it takes you forever to recover from a workout, inflammation might be the cause. Heather can help you get to the root of any food sensitivities or overall gut issues that are impeding your performance and your progress. Heather also offers group nutrition + fitness coaching programs focusing on effective, efficient exercise + nutrition. The Elite Wellness Optimize nutrition foundations virtual bootcamp offers the benefits of a personal dietitian at an affordable rate and convenience. Open for enrollment only a few times per year, the next round starts in February. If you’re a fellow dietitian or health/nutrition business owner looking for some guidance, clarity, and focus, you’re in the right place too. Check out our nutrition business coaching services here. Heather Neal, MS, RD, LDN, CLT is a dietitian committed to helping you and your kids thrive. Trained at Johns Hopkins Bayview Medical Center, Northeastern University, & the University of North Carolina at Greensboro, Heather has certificates in Childhood & Adolescent Weight Management and Adult Weight Management by the Committee on Dietetic Registration. She holds a Masters of Science in Sports Nutrition from Northeastern University and is a past president of the Greensboro District Dietetic Association. 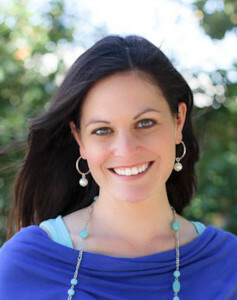 She is also a Certified LEAP Therapist (for strategically eliminating food sensitivities) and is especially passionate about helping breastfeeding moms navigate the world of food sensitivities and intolerances in their babies and kids. She currently works as a dietitian and nutrition coach, food sensitivity specialist, professional writer, and nutrition business coach. Heather is also the founder of the RD Entrepreneur Symposium.